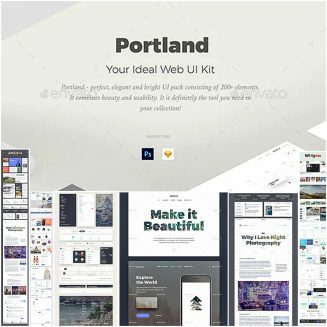 Portland – perfect, elegant and bright UI Kit. It combines beauty and usability and it is definitely the tool you need in your collection! Features: 7 Popular Categories. We devided all the elements into 7 popular categories for your convenience. They are: Articles, eCommerce, Forms, Headers, Navigation, Widgets, Base Elements. Free Google Fonts. Huge Pack of Base Elements. 12 Column Bootstrap Grid with 1170px width. 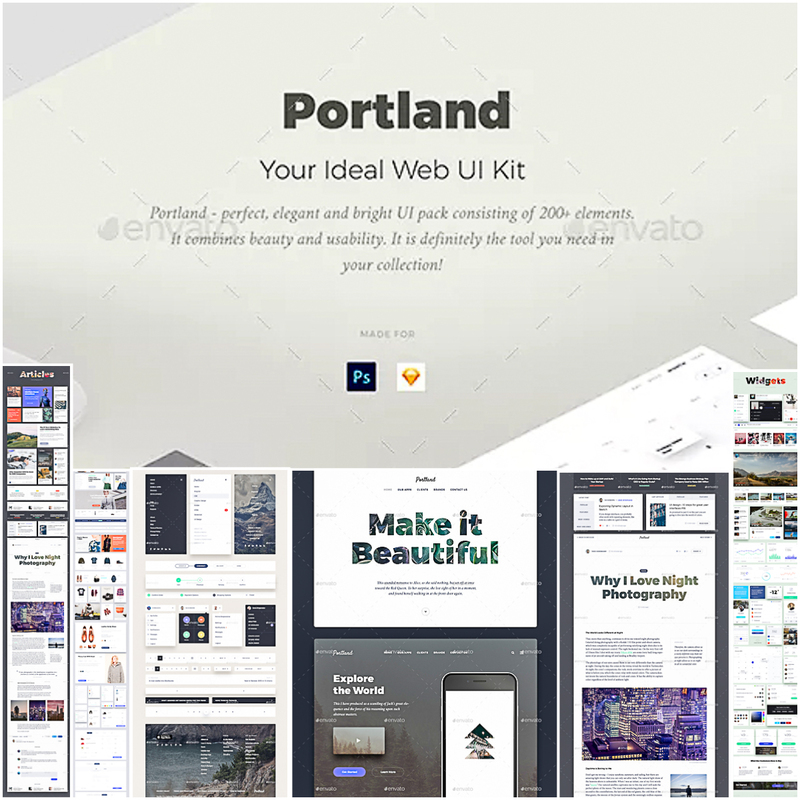 The most popular dimension and most popular grid will help to code your page easier and faster. Pixel Perfect. File format: .psd, .sketch for Photoshop, Sketch or other software. Tags: article, base, block, blocks, bright, ecommerce, flat, footer, header, land, landing, modern, navigation, site, ui, uikit, web.